A robot went on a dance rampage after hearing the song “Robot funkadelics.” Dancing and shaking crazily, the robot smashed into a fruit store, destroying stacks of melons and cherries. Eye witness said that the robot named Niinu went into a ‘breakdance frenzy’, disobeying the commands of his owner to stop dancing and attend to his work. The police had to be called, which has charged the robot with willful destruction of fruits and disobeying its owner. “Robots have feelings too and should be allowed to express themselves.” Said the robot before being whisked away by the police. Due to safety concerns, the public is hereby requested NOT TO PLAY THE SONG ROBOT FUNKADELICS in the presence of robots, androids or any Artificial intelligence machine. Meanwhile, the humans have reacted strongly to the incident. “Enough is enough. We can’t let the robots run riot. Today they have started dancing, tomorrow they start ruling over us. The producer of the song Rajiv, has sided with the robot. He has started a campaign to free the robot and to fight for the rights of robots as well. 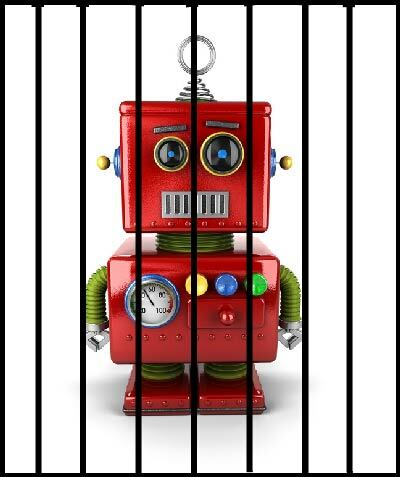 “We humans have destroyed countless species, have killed each other, but if a robot breaks into a dance, we need to put him behind bars. What kind of society are we in? You can listen to the full song here, at your own risk.